The 100% Cotton Nonwoven Sponge is the perfect general use sponge combining the most desirable characteristics of sponges into one product. It features a smooth, textured and lint-free surface that provides exceptional patient comfort and maximum absorbency. 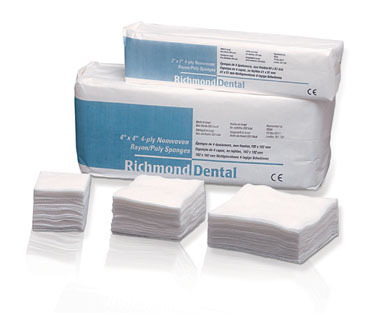 Conveniently available in 3 sizes to meet the needs of daily use in the dental office.